Thinking of activities before the busy school schedule? 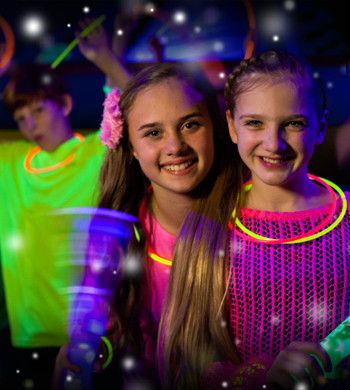 Celebrate one last hoorah with our Back 2 School Bash included with Go Glow & Boppin' Balloon Bash! 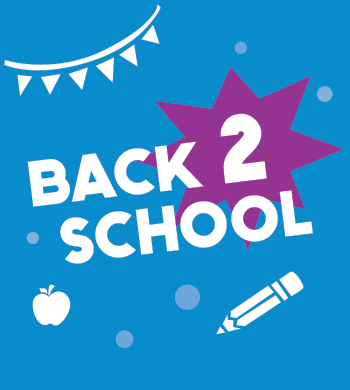 Paid kids will receive a Glow Necklace & a special Back To School PIU Care Package! Includes: 3 hrs in the arenas with Pizza being served at the second hour of the event. Each child will receive 3 tickets to redeem one LARGE slice of pizza and their choice of freshly made popcorn, cotton candy, or snow cone. Pizza Available for Purchase @ Beginning of the Event--Space limited. No Adults allowed to jump if reach Max Capacity. Prepaid online reservation Required. Walk-ins Subject to Availability. PIU accept all major credit cards & cash in-store. No refunds or exchanges for any Open Jump or Special Events Sessions. Children will be given priorities at Maximum Capacity. Minimum Height of 34'' required to play. $11.95 + tax per Child -EVERY Saturday & Sunday Morning!